The U.S. Centers for Disease Control and Prevention calls it moderately severe, although it resembles the 2014-2015 season, which wound up being characterized as a high-severity season. To date, the flu has been labeled widespread in 49 states, and 48 states have reported either high or moderate flu activity, along with New York City, the District of Columbia and Puerto Rico. "This is a bad flu season," said Dr. Robert Raspa, a practicing family physician in Jacksonville, Fla. "There will be times when you have three or four people in the office at the same time who test positive for flu," he explained. "That doesn't mean it's Armageddon or anything," Raspa added. "But it is a bad season and people really should take the usual precautions." The most recently reported rate of hospitalizations for flu is 51.4 per 100,000 people, according to the CDC. However, this season 9.7 percent of all deaths have been attributed to flu and pneumonia -- which is above the CDC's threshold for an epidemic of 7.2 percent. About two-thirds of confirmed flu cases in the United States have been caused by the H3N2 strain, the most dangerous of the four most common seasonal flu strains. According to Dr. Amesh Adalja, a senior scholar at the Johns Hopkins Center for Health Security in Baltimore, "The season has been dominated by the H3N2 influenza A strain and, as is true of prior seasons dominated by this strain, severity is increased." This is the 50th anniversary of H3N2's first emergence, which occurred in Hong Kong in 1968, according to the CDC. That should mean that many people have been exposed to the virus and thus would have some partial immunity to it. However, H3N2 remains very adapted to humans and incredibly effective at evading the human immune system, said Dr. Daniel Jernigan, director of the CDC's Influenza Division. Is this year's flu vaccine working? Statistics released Thursday out of Canada suggest this season's vaccine is just 17 percent effective againt the H3N2 strain. Meanwhile, U.S. estimates of flu shot effectiveness are yet to come. A big problem with H3N2 is that it's tough to create effective vaccines against it. Vaccines typically are grown in eggs. But, H3N2 is so human-adapted that the virus ends up changing when grown in eggs, Jernigan said. That means it doesn't closely resemble the H3N2 circulating among people, he explained, and these changes could be affecting vaccine effectiveness. You still should get a flu shot, however, because it can blunt the impact of the virus even if you do wind up sick, Raspa and Adalja said. "The vaccine, while it may not prevent one from developing flu, can prevent some of the downstream consequences of severe influenza -- such as hospitalization, need for ICU admission, need for mechanical ventilation, death, and even ear infections," Adalja said. What about drug treatment once you get the flu? Antiviral flu medications like Tamiflu, Relenza and Rapivab also remain quite effective against all circulating strains of flu. According to the CDC, only the H1N1 strain appears to be developing any resistance. Dr. Sandra Fryhofer is an internist in Atlanta and the American College of Physicians' liaison to the Advisory Committee on Immunization Practices. She said she is prescribing flu antivirals in advance to her sickest patients -- those who are elderly, on chemotherapy, or suffering with immune system problems, heart or lung disease, or diabetes. "I'm recommending they have Tamiflu at home so if they get sick they can call me and we can decide whether they should take it," Fryhofer said. These antivirals are effective if taken soon after infection sets in, within the first day or two. "If you get a shaking chill and a cough, you should get a prescription as soon as possible," Raspa said. Shortages of these drugs may occur. In a statement issued Thursday, U.S. Food and Drug Administration commissioner Dr. Scott Gottlieb said the agency is "hearing from some health care providers that there are spot shortages of some antivirals used to treat the flu and flu tests." But he added that, right now, "there is no nationwide shortage of these products." How many people have gotten the flu? About 7.1 percent of all Americans who have gone to see a doctor this season have had flu-like illness, the CDC reported. In 2009, during a worldwide pandemic of H1N1, the rate peaked at 7.7 percent. Are lots of people dying from the flu? Although the 9.7 percent death rate attributed to the flu is above the CDC's epidemic threshold, it has not reached the peaks seen in 2012-2013 and 2014-2015, the agency said. The number of pediatric deaths is tracking well below those years, however. About 53 children have died from flu so far this season, compared with a total of 110 in 2016-2017, 92 in 2015-2016 and 148 in 2014-2015. Keep in mind that the CDC estimates that the flu season is about halfway done. 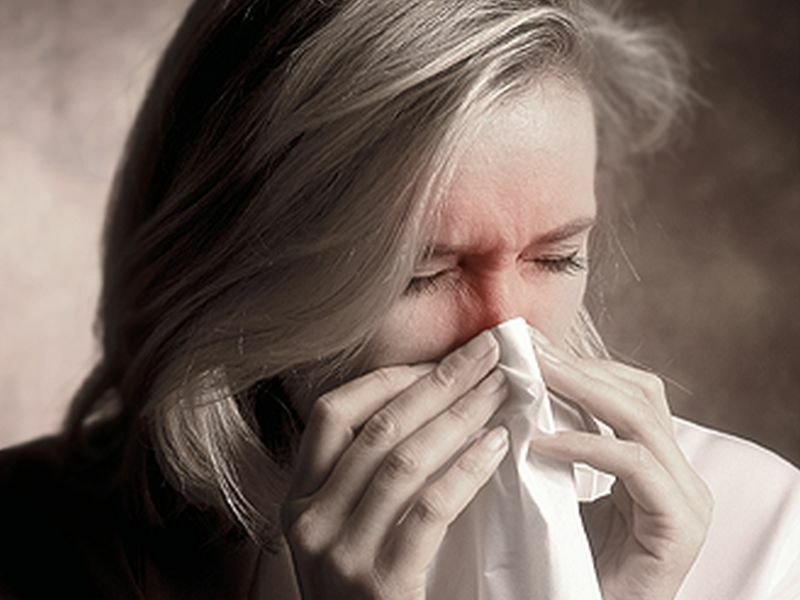 Flu seasons typically last about 16 weeks; this season has reached 11 weeks and counting. In recent seasons, the overall U.S. death toll from the flu has ranged from a low of 12,000 in 2011-2012 to a high of 56,000 in 2012-2013, the CDC noted.